Millions of travelers each year make their way to the Midwest to visit the world’s “LIVE Entertainment Capital”… Branson, Missouri! Set against the beautiful Ozark Mountains in the heart of the Ozarks – Branson is one of the most diverse, fun, affordable, and popular vacation spots in the country! 30+ theatres and performance venues! 200+ restaurants and dining establishments! 100s of shops, stores, and boutiques! 70+ attractions and things to do! …and dozens of other things to see and do! Drawing people from around the world to experience true hospitality, Branson has become world-famous for its affordability, clean and family-friendly entertainment and things to do, and unmatched natural beauty and setting. For 100+ years, the town has been hosting millions of visitors who return time and again to getaway, relax, and enjoy their time in the Ozarks. “LIVE Entertainment Capital!” of the World! While the Branson area was already a popular vacation spot for visitors, it wasn’t until the 1950s that the town truly became famous as a live entertainment destination. These LIVE shows began with the Baldknobbers show and Presley family, ushering in a new era of entertainment and providing sightseers and tourists with yet another reason to visit. Branson has more than 100+ LIVE Shows! Superstar entertainers like the late, great Andy Williams, famous Japanese fiddler Shoji Tabuchi, country stars Mickey Gilley and Mel Tillis, and comedian Ray Stevens would eventually move to the area and open up their own theaters – drawing even more people to this already-popular vacation town. Remaining clean, wholesome, and family-friendly throughout its history – Branson continues its tradition of some of the best LIVE entertainment to be seen anywhere with modern and contemporary shows like the vocal group SIX, the Haygood family, Chinese acrobats, and magician Rick Thomas, and hit Broadway production Million Dollar Quartet, adding the the new lineup of entertainment options. 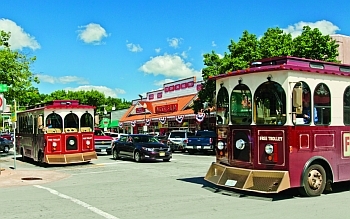 Now known as one of the world’s “Live Entertainment Capitals,” Branson, MO has created one of the most appealing and unique destinations to be found anywhere. 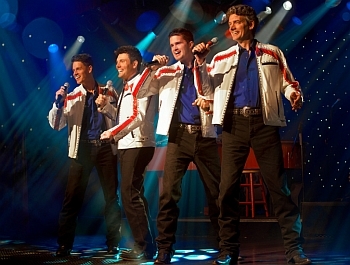 Dozens of shows are performed regularly each day and headlining stars like magician David Copperfield, country icons Willie Nelson, Johnny Cash, and Loretta Lynn have all performed on the Branson stages. 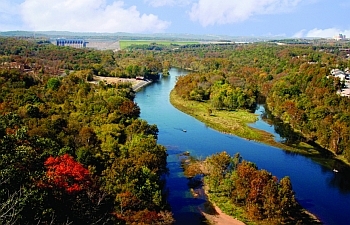 The “Jewel of the White River,” this small vacation town is set along the banks of two of the most popular and beautiful lakes in the Midwest – Lake Taneycomo and Table Rock Lake, and tucked in the heart of the Ozark Mountains in the middle of the Ozarks. Incredible entertainment and attractions are complemented by the natural beauty of the Ozarks, with Branson at the center of it all. In addition to all of the exciting attractions, live shows and entertainment, and shopping – the area is home to some of the most beautiful and breathtaking scenery and natural surroundings to be found anywhere. With so many things to see and do and hundreds of places to stay, planning and booking your trip to Branson can quickly become a daunting undertaking. That’s where we come in, our goal is to help you make the very most of your trip, help you save time and money, and provide you with one of the best vacations you will ever have and leave you with memories that you won’t forget and will cherish for a lifetime. From show schedules and hotel discounts to attraction passes, area information, and free maps of Branson – our goal is to leave you with a trip that creates memories that last a lifetime. We want to provide you with the most affordable, convenient, and worry-free travel planning experience possible. As you browse our site you will find discount packages, money-saving deals, reviews, area information – and one of the most comprehensive booking and planning sites for Branson, Missouri to be found anywhere.